Comments: decent software will run you another $30+, if you have to buy it, so keep that in mind when deciding. Cons: Lasted about two months in actual use. Sony Optiarc points you back to the seller for warranty exchange, so the effective warranty is NewEgg's return period. Other Thoughts: Bought two at thirty dollars each; maybe the second one will last longer. Not paying extra for the retail box also means not paying extra for the retail warranty. Occasional junk part is to be expected when buying OEM parts. As it happens so infrequently, this one deserves only three eggs for failing so quickly. Pros: the price was 30 bucks, so i ordered 2. they both work great. they run quiet. bluray movies look sweet. Cons: should have got 3 at that price, kept one and put one in a build for my friend. i have no complaints. Other Thoughts: looks good with a ati 4670 card paired with AM3 x2 555be, and also with the Q9550 and 460 gtx 768 card. win 7 and xp pro. got them around Christmas time. if i paid 50 each, i still would be very happy. Pros: Well, it's SATA, and they don't make a big showy splash about putting their name all over the front bezel. Cons: Doesn't actually work. BIOS on several systems refuses to acknowledge it. Only time I ever got it to work was when I put it into a system with another DVD drive -- and then Windows 'lost' the other drive. Other Thoughts: No software, no frills, not ugly, low price. Would have been wonderful had it actually worked. Cons: Installed it last year but did not work in my computer so I thought it was my-computer-specific. Installed it in my girlfriend's computer. Worked very slowly but again it was an old M2N so I kept thinking it was computer related. Now that the guarantee is over, I install it in a friend's computer for wich BD do work and this SONY does not work. It was defective since the moment I got it. Pros: Reads all the DVDs and BD's I've thrown at it, including many of the more recent titles. Cons: SLOW BD rip speed. But I knew that. 2x BD read is indeed incredibly slow. If you don't mind this speed then cudos. But just know that BD rips will be slow. Other Thoughts: I'm mostly a Mac guy but have a win7 box for a media center in the house. 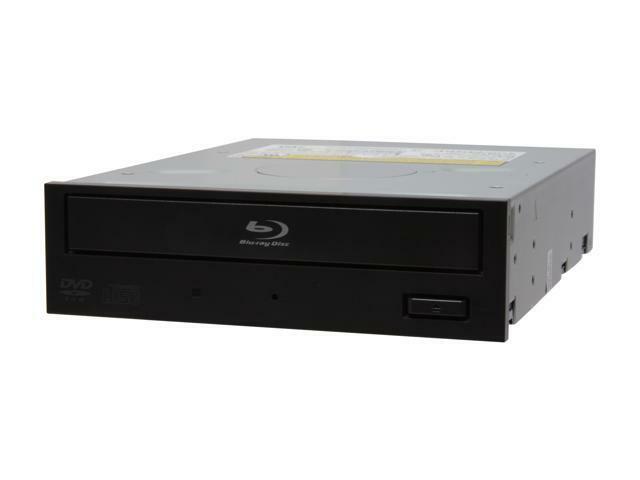 I bought this along with a SATA-USB2 cable in hopes that it would work as an external drive to my Mac for ripping my DVD's and BD disks well, it works! I can't PLAY BD's from it since Mac does not support that, but I can play and rip DVDs and I can rip BDs using my MBP without a problem... works extremely well for this task. The drive sits on my desk without enclosure and the USB2/SATA cable allows me to connect it to any PC with total ease. I also put some no-slip rubber feet on it to keep it still while I change disks. Works well for what I wanted it for and at 29.99 with free s/h I decided to give it whirl. Glad I did.